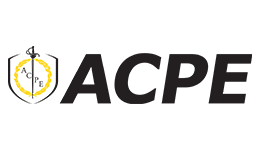 The Australian College of Physical Education (ACPE) is one of Australia’s leading education providers when it comes to all things sports management, applied fitness, dance and physical education. Students here will graduate with the training to work as fitness professionals as well as the knowledge to manage their own businesses.ACPE is one of the oldest higher education providers in NSW, providing a premier learning experience for over 100 years. By gaining your qualification at ACPE, you will receive a nationally recognised credential and have access to world-class athletic facilities and training that draws in students from all over the globe.